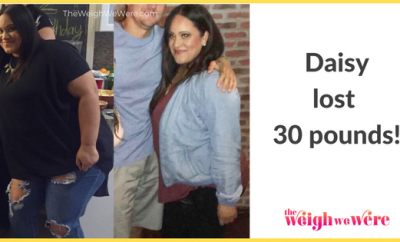 After having her third baby last Oct¬ober, Hilary Andreas was thrilled about her expanding family—but not about her expanding body. 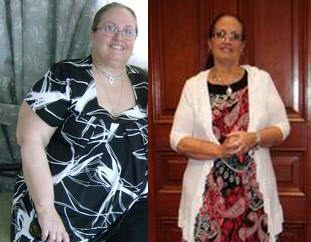 At 198 pounds and wearing a size 18, this Portland, Ore., mom wanted to slim down. 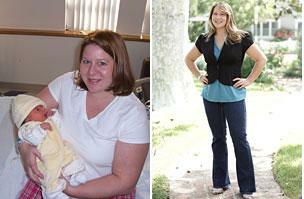 “I made a pact with myself that I’d do whatever it took to lose weight,” says Hilary, now 30. Hilary Andreas didn’t want to settle for her postpregnancy shape—so she dropped 70-plus pounds. Here’s Hilary’s special treat: A scoop of Breyer’s Fat Free Vanilla Ice Cream topped with a tablespoon of Adam’s Organic Chunky Peanut Butter and 10 to 15 chocolate chips. Hilary mixes 1 cup of Trader Joe’s 100% Cranberry Juice and 7 cups of water in a pitcher and sips on it throughout the day to control her sweet tooth. Hilary and her husband are training for a marathon, and their kids are taking gym classes so they stay active, too. Hilary wanted a pair of skinny jeans—so we got her a pair from one of her favorite designers, Rock & Republic, to congratulate her on her weight-loss success.